Every day about 10.000 baby boomers in the USA reach the age of 65 years old. 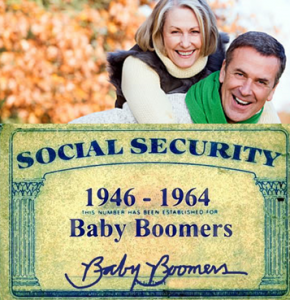 Baby boomers are people born during the demographic Post–World War II baby boom between the years 1946 and 1964. Many of them are starting to think about selling their large homes to either move to some assisted living facility retirement community or downsizing their homes, so it is easier to maintain. Many baby boomers real estate acquisitions happened in the 80’s and 90’s. Over time their home equity increased significantly. Houses increased in size as baby boomers lived with the mantra that “bigger-is-better” especially when it came to their homes. For many year baby boomers real estate appreciated in value. But now due to such factors as social shifts and demographics, there is going to be some hard changes in the baby boomers future forecast. For most people of that generation, the home was their most significant asset, and many did not save enough for retirement. As a consequence, many 65-year-old people will be forced to sell homes to finance their post-work years. Some Boomers are going to want to sell their big family homes and downsize. The problem is that there are not enough buyers for the entire housing inventory coming to the market. The style of the baby boomers real estate is also not appealing to the young generation and therefore needs substantial investment and renovation. Who is buying baby boomers real estate? Gen-xers are the group of people born between 1961 and 1981.They suffered from the downward spiral of the economy, with the added financial stress of growing kids. A recent census report found that people between 35-44 years old noticed a 59% decline in average household net worth between the years 2005 and 2010. Meaning that they had little home equity and limited assets to put toward the down payments if they considered buying baby boomers real estate. The Millennials, or Generation Y represents the people born between years 1980-2000. They found themselves in record debt of $1 trillion in student loans, and they are looking at the flat job market. The unemployment rate for wannabe workers is at 15.9%. Millenials are the drivers of the $26 billion sharing economy. The younger buyers don’t want the big homes, and the style of baby boomers real estate. Some market professionals believe that Boomers are going to have a challenging time trying to sell their mammoth sized homes. Baby boomers real estate – in suburbs. Baby boomers are driven to sell their homes in the suburbs looking to downsize. Younger buyers tend to prefer being closer to the city centers. Therefore, baby boomers may have to find other ways to either upgrade or renovate their homes, even turn them from single a to multi-family condominiums. They may have to share the homes with other families. 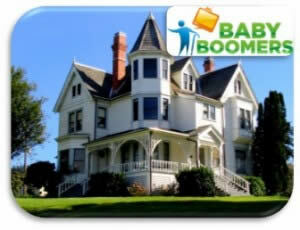 Baby boomers real estate overview. The National Association of Realtors (NAR) recently conducted a comprehensive survey of 2,000 baby boomers. As the result of this survey, David Lereah who is the NAR’s chief economist noted that baby boomers had various retirement plans. A large portion of the population married later in life and had children at a later age, meaning that many will work past the traditional retirement age. One-third of Boomers will probably go back to the workforce after retirement. Another 35% will work at least part-time or start their own business after retirement age. These factors will influence the type and location of the homes they will live. According to the study, the median age that Boomers intend to retire is 70 years old. A quarter of people of that generation don’t intend to stop working at all. They don’t have plans to move into assisted living facilities but instead plan to stay in their homes. Since they intend to work longer than expected, they will continue to be a driving force in the real estate market for many years to come. About nine in ten baby boomers that have incomes over 100,000 annually are homeowners. They also own other properties besides their primary residence. About 3.5 million Boomers or 10% of them intend to purchase primary homes; the rest are considering to buy land, vacation homes, or rental properties. The NAR statistics show that Baby Boomers own 57% of all vacation homes and 58% of all rental properties. Baby boomers will continue to be the key players in the real estate market even with retirement looming on their horizons.